Lawns come in all shapes and sizes. Unfortunately, so do the weeds, insects and unwanted grasses that can pop up from time to time. Luckily, the thick growth pattern of a Zoysia lawn can help prevent them from making a home in your yard. If you do find yourself with intruders, it’s natural to want to get rid of them. However, it’s extremely important to be mindful of the method in which you choose to do this. 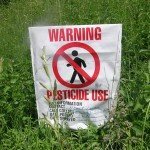 It is a widely known fact that the chemicals in many pesticides can be harmful to your family and pets – but these chemicals also have the potential to damage your lawn as well. In fact, pesticides have the potential to harm our entire eco-system. The Environmental Protection Agency has declared many pesticides carcinogenic, and these chemicals have the potential to cause serious health complications in adults and children. Pesticides also pollute rivers and water supplies and pose a significant danger to wildlife. 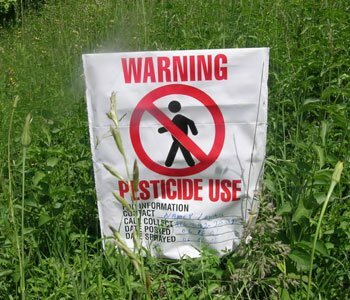 In recent years, though, there have been advancements in alternatives to traditional pesticides (often organic, non-chemical formulas) that can help you rid your yard of a variety of insects and weeds while protecting you, your family and our delicate eco-system. With a Zoysia lawn, you can avoid pesticides or non-chemical weed killers all together since Zoysia tends to naturally resist many unwanted intruders – protecting you and your family from the dangers of pesticides in your own backyard.